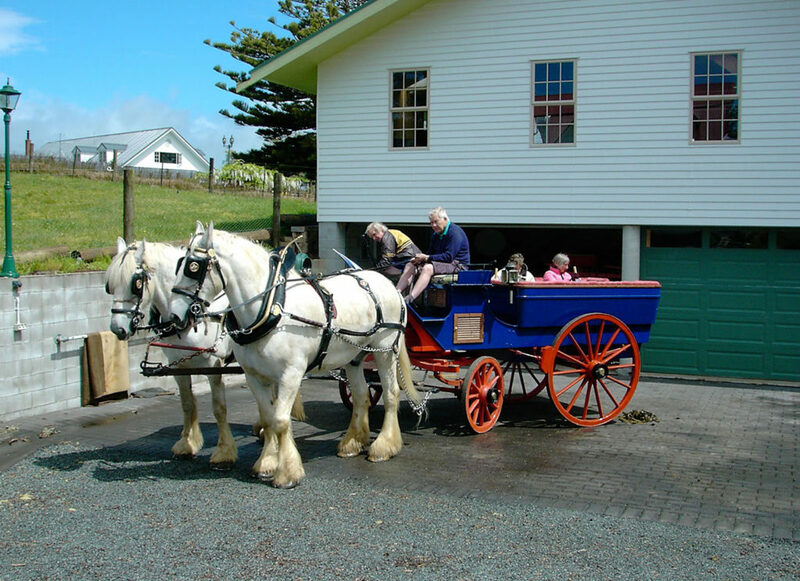 Kerikeri is a 3 hour drive North of Auckland, and has an airport with a 40 minute flight time. Rental cars are available. Kerikeri Inlet is in the North West part of the Bay of Islands, close to the attractions of Paihia and Waitangi. The Carriage House is on the south shore of the Inlet. 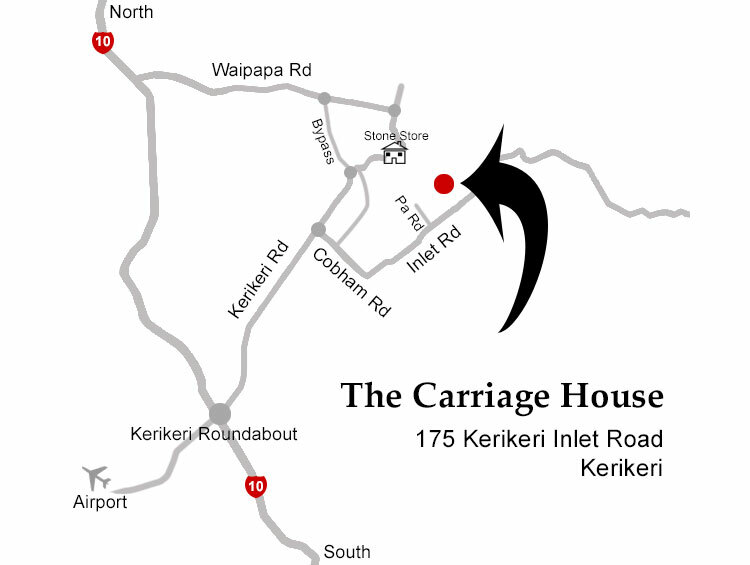 By road take State Highway 1 North from Whangarei, past Kawakawa, then turn right onto State Highway 10. At the 1st roundabout turn right into Kerikeri. At the next roundabout turn right again past the post office. Bear right into Cobham Road, which changes its name to Inlet Road. On the left 1.75 Km down the road you find No. 175, and the Carriage House.